Tyler Durden on "zerohedge" called 'earnings" the milk of markets. In March 2016 he said: "It appears the mother's milk of markets is rapidly drying up." But now I would say that this was 'just' an earnings-recession which we had to digest. 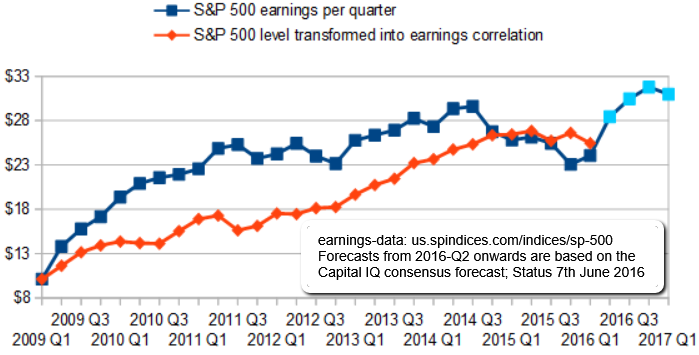 Now is the time to look forward and believe (or hope...) that quarterly earnings have found its floor at ca. USD 25 and will keep on rising from this level forward.